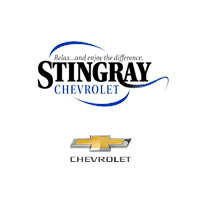 At a time when many SUVs are moving to more compromised formats, the Chevy Tahoe continues to deliver 4×4, body-on-frame performance to drivers in Lakeland, and you’ll find a number of Chevy Tahoe lease deals and special offers going on right now at Stingray Chevrolet in Plant City. With a towing capacity of up to 8,600 pounds and a V8 engine with 420 hp, the Tahoe delivers utility and confidence at every turn. Meanwhile, the Chevy Tahoe interior gives you three rows of seats and access to features like a Rear-Seat Entertainment System and a Chevy MyLink infotainment system with Apple CarPlay™ and Android Auto™. Get Behind the Wheel of the New Chevy Tahoe Near Brandon Today! The new Chevy Tahoe price starts at $47,900 MSRP, and you can find it along with the rest of the new Chevy SUVs at Stingray Chevrolet in Plant City. See how the Chevy Tahoe compares to the GMC Yukon and Chevrolet Suburban, and read what the top industry experts are saying about the newest Tahoe! At our dealership, we have a full lineup of new Chevy Tahoe trim levels available, as well as competitive financing and certified technicians to help you out with all your Chevy service needs near Valrico. Give us a call at (813) 359-5000 today, and come by our dealership Monday through Saturday!